can Download Application Through Official website. Eligible Candidates can follow Below Recruitment details. Latest CSL Careers, Placement, Openings, Vacancies, Interview dates are updated regularly.To get more Freshers Government Opening,Placement Paper and Graduate Vacancies Visit www.freshers-job.com. 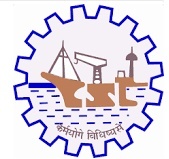 Cochin Shipyard Limited is the largest shipbuilding and maintenance facility in India. It is part of a line of maritime-related facilities in the port-city of Kochi, in the state of Kerala, India. Candidates from 2017,2016,2015 Batch who have completed 10th, ITI Degree pass candidate from any recognized Institute are required to view bellow CSL Recruitment 2017.CSL is now going to recruit some qualified candidate through examination. CSL Opening 2017 for Apprentices for Fabrication, Outfit Assistant, Welder position. Details about CSL Recruitment 2017 is given bellow. CSL Vacancy 2017 eligibility criteria and application process are given in below. CSL Online Application, Recruitment Notice will be informed through official website www.cochinshipyard.com. CSL is now recruiting Freshers for Fabrication, Outfit Assistant, Welder post during 2017 2018. Welder - Pass in SSLC, ITI (NTC) and National Apprenticeship Certificate (NAC) in the respective trade and Minimum of three years post qualification experience/training in a Shipyard or Heavy Engineering Company. Sheet Metal Worker - Pass in SSLC, ITI (NTC) and National Apprenticeship Certificate (NAC) in the respective trade and Minimum of three years post qualification experience/training in a Shipyard or Heavy Engineering Company. Instrument Mechanic - Pass in IV Std and Minimum of three years’ experience in rigging of which two years in rigging of heavy duty machine parts, assisting in the erection of machinery/ equipment etc, in a Shipbuilding/ Ship repair yard or Heavy Engineering Company. Good knowledge of splicing work of wire ropes. As per the CSL recruitment notification 2017-18, candidates should have minimum education qualification of 12th, Diploma, BCA, Graduation Degree, Master Degree equivalent from a recognized Institute are Eligible to apply CSL Recruitment 2017. Candidate should complete his / her 10th, Diploma, Graduation Degree in relevant subjects from a recognized University / Institute. Minimum 17 Years and Maximum 42 Years as on 01.07.2017. Accordingly the application must have been born not earlier than 01.01.1982 and not later than 02.01.1996, age relaxation details. Age relaxation is applicable as per Government of India rules applicable for different categories (SC/ST/OBC/PwD) visit CSL official Notification 2017 for more reference. Other Candidates (ST/SC/Women/PWD) have to pay Application Fees - Nil. Check fee details in official notification of CSL for Fabrication, Outfit Assistant, Welder academic qualification, application fee, selection procedure, exam pattern are present in official Notice. Selected and Eligible Candidates for this CSL Notification posts will get a amount of Rs. 14000 - 14800/- month to month pay scale as per Government norms with Rs.good amount of grand pay.